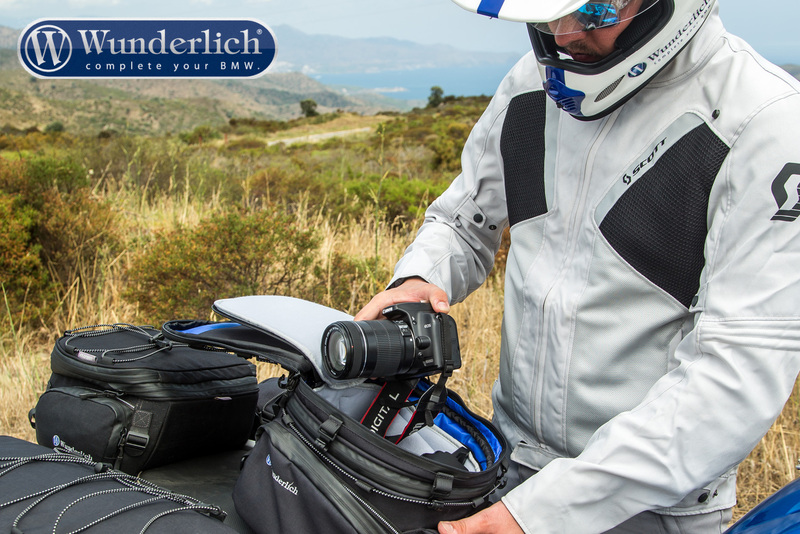 This practical and flexible photo insert turns out Elephant tank back - and almost all other tank bags - into a complete photo tank bag. 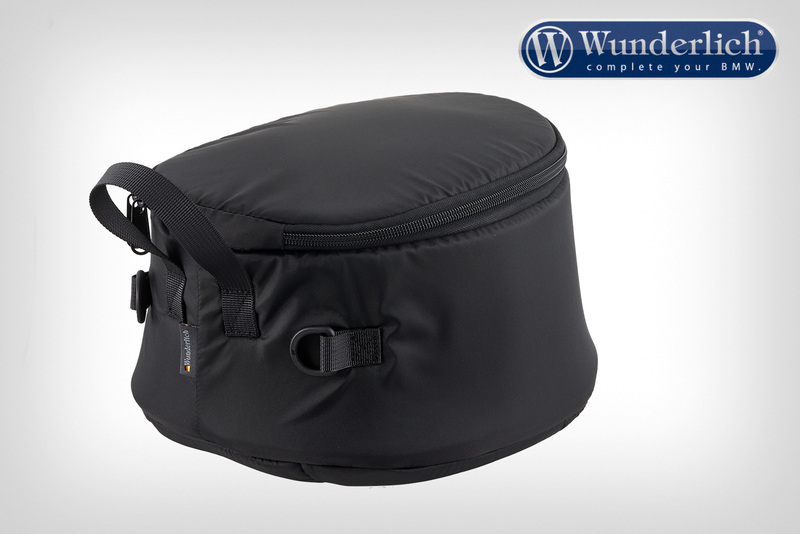 The sturdy cushioning protects the valuable photo equipment and is completely adjustable thanks to reliable Velcro fasteners. 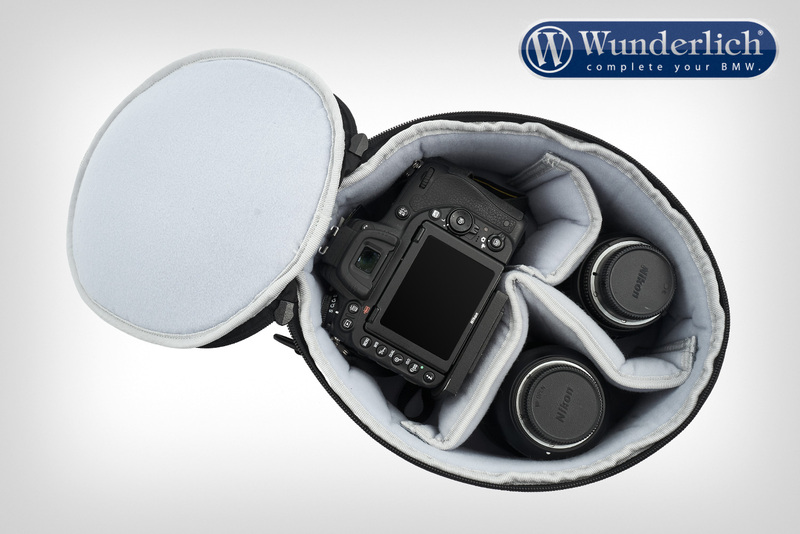 This means your camera, lenses and other accessories can be stowed away individually in a way that saves on space. 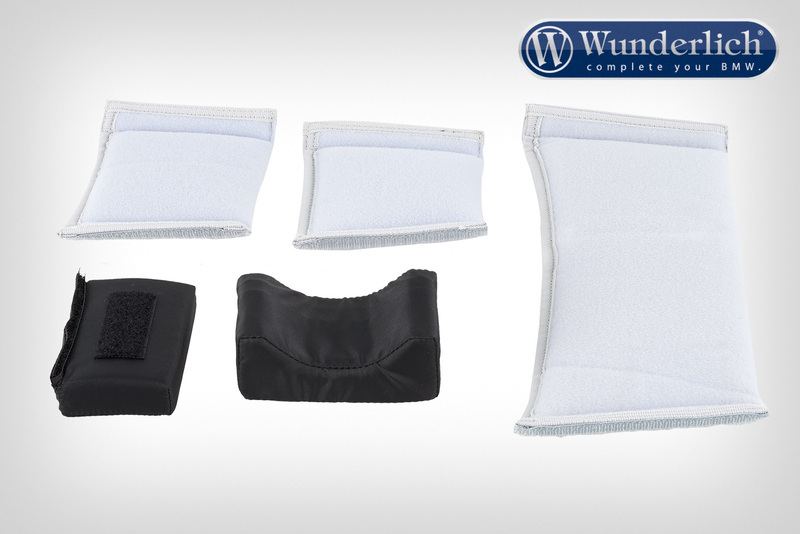 Two variable lens supports ensure you get the right position. 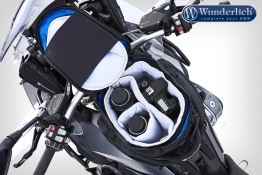 An all-around zipper means the cover opens generously so that your equipment is fully visible and easy to get hold of. Thanks to the helpful handle, the photo insert and all content can be removed from the tank bag with one hand. 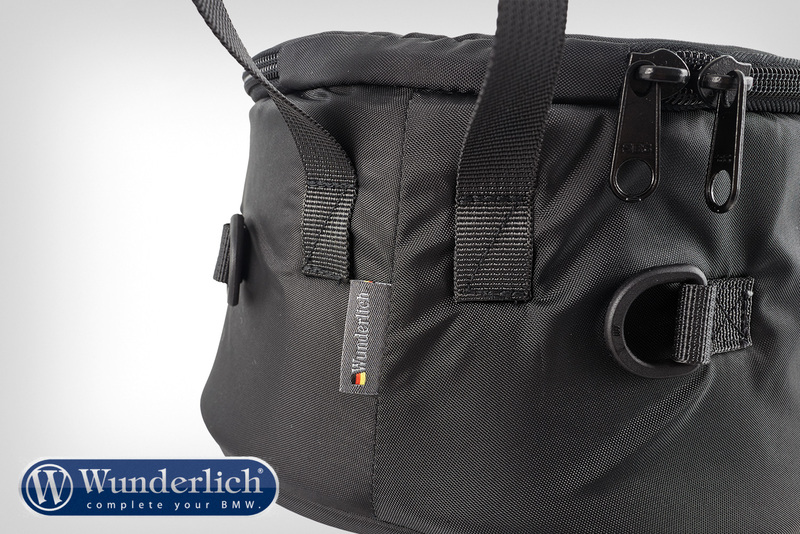 The photo insert comes with two sturdy eyelets so it can be used quickly and comfortable as a shoulder bag with our tank bag's shoulder strap. In short: It doesn't get more practical! Tip: Both our Elephant as well as the photo insert are protected against spray and water-repellent. 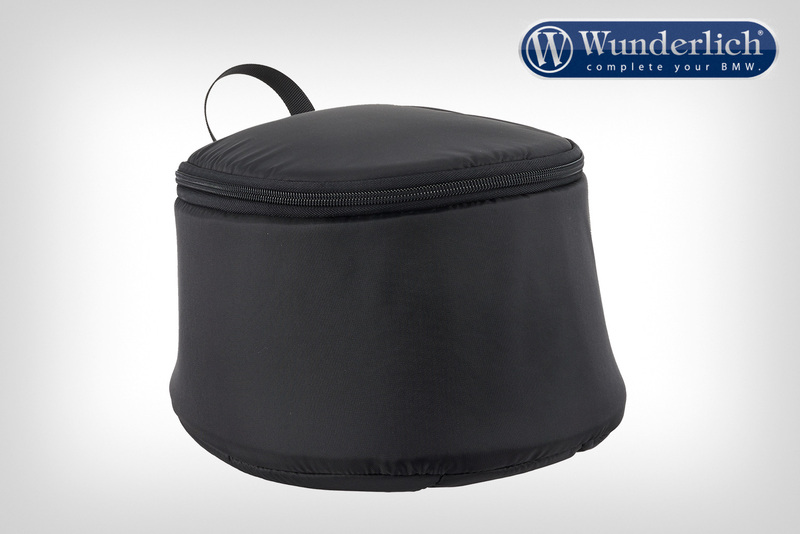 For transporting your valuable photo equipment in the pouring rain, we recommend you use our universal tank bag rain cover (WUN-20690-000) or our waterproof luggage bag (WUN-44000-000).